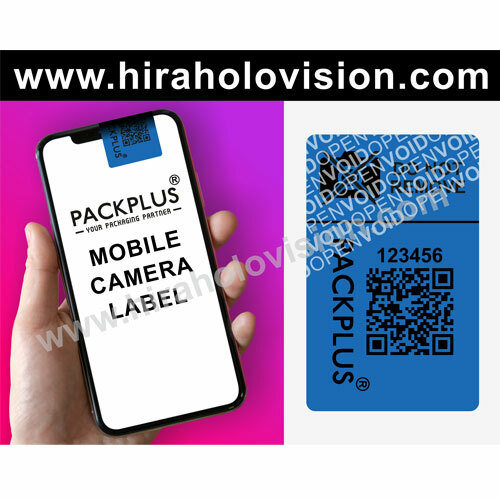 Matching up with the ever increasing requirements of the customers, our company is engaged in providing MPATCH Mobile Camera Labels. Barcode-IT can supply thermal transfer and direct thermal labels for mobile printers. We can deliver genuine products off the shelf to give you peace of mind when purchasing labels or we can offer quotations for larger quantities of MPATCH mobile labels at competitive prices. These MPATCH labels can be used for shelf labeling applications, warehouse stock labeling, ticket production, etc. The MPATCH mobile camera labels helps to secure confidential information and avoid leakage of images or videos. After these labels are applied the visitor cannot take unwanted information images or videos outside the permitted area. 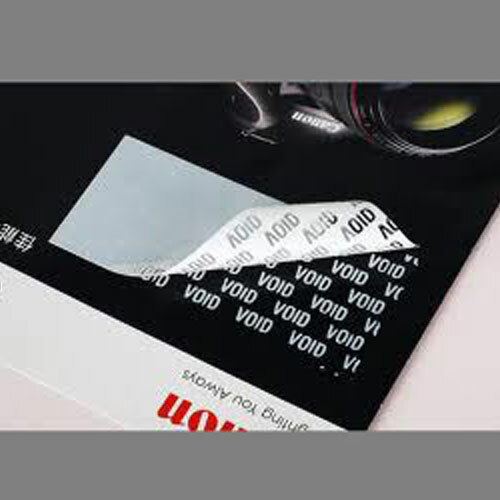 HHV void labels are made from a material suitable for most id and asset label requirements and are supplied with a universal adhesive that bonds to most surfaces. 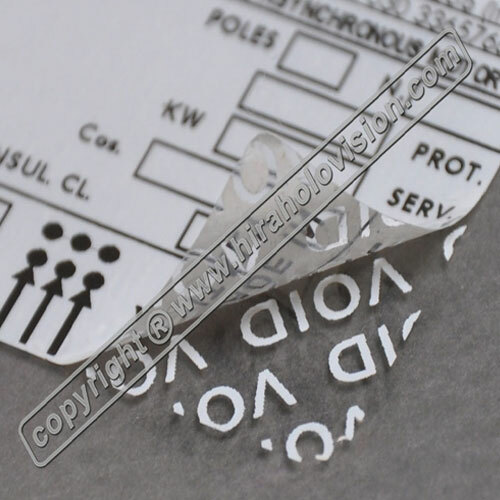 If the tamper void label is removed the word VOID is left on the surface clearly showing evidence of tampering – giving you a void label theft deterrent that also discourages unauthorised asset transfers. Hira Holovision manufactures security void labels and stickers, used to show when a label has been tampered with. If an attempt is made to transfer a label to another product, or to gain unauthorised entry, these labels will make it obvious. 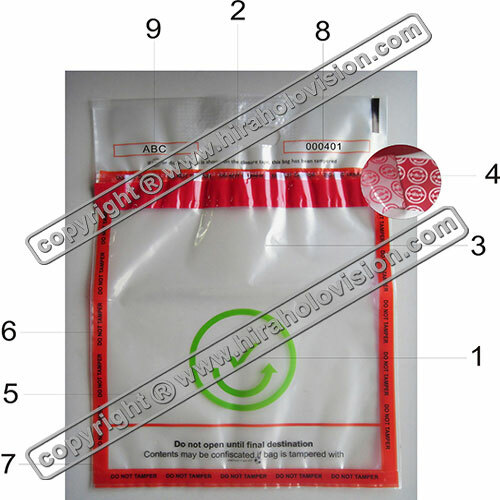 They are also called tamper evident seals.These labels can be used on a wide range of products. Packaging Details : As per international standards.